WHAT HAPPENED: Syracuse’s NCAA Tournament bubble finally burst on Sunday, with the selection committee leaving the most hotly debated team out of the field of 68. Instead of SU, the last four teams that were invited included USC, Wake Forest, Kansas State and Providence. The Deacons are a relatively curious choice because the Orange owned more top-50 wins, finished ahead of them in the ACC, and also won the teams’ only head-to-head matchup this season. 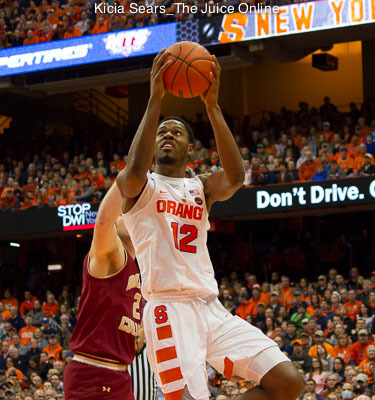 Regardless, Syracuse is headed to the NIT for the first time since 2008. 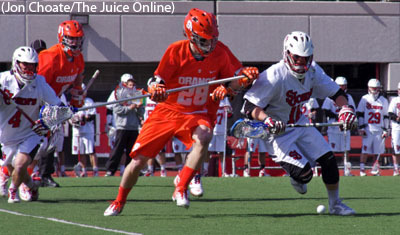 ANALYSIS: A down, then up, then down again season cost the Orange a chance at the NCAA Tournament. Losses against Georgetown, St. John’s, UCONN and Boston College proved to be too much to overcome wins against Duke, Florida State and Virginia. Had Syracuse pulled off a home upset against Louisville or won its second round ACC Tournament with Miami, this may have been a different story, but in the end, the selection committee penalized the Orange for the lack of non-conference wins, as well as winning just two games on the road all season. HERO: Central New York wasn’t the only one frustrated with a lack of an invite. 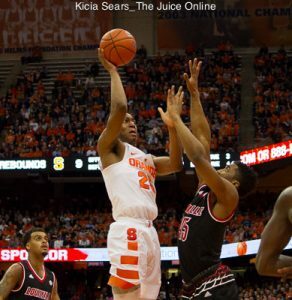 Several ESPN commentators, including Jay Bilas, thought the Orange should’ve been in. “On any given day,” Bilas said, any team can be another team. Well, Syracuse had more ‘given days’ than any of its fellow bubble teams. “Last year, that got rewarded,” Bilas said, but not this year. ZERO: Syracuse now joins a small list of teams that have gone from playing in the final weekend of the season to playing in the NIT a year later. Things just came together far too late for the Orange in the season, and undoubtedly, four losses to teams outside the RPI’s top-200 sealed SU’s fate. WHAT’S NEXT: Syracuse will host UNC Greensboro in the first round of the NIT on Tuesday at 7 p.m. at the Carrier Dome. TV: ESPN.